The National Maritime Safety Authority is working in partnership with its Australian counterpart, the Australian Maritime Safety Authority and the Queensland Water Police to improve sea safety, particularly so for those traditional inhabitants from the South Fly and the Torres Strait islanders who freely travel in and out of Australian waters under the Torres Strait Treaty between both countries. 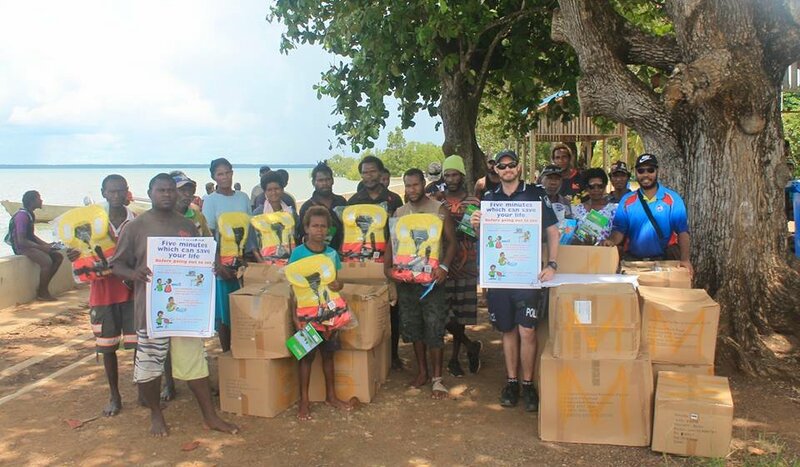 NMSA and its Australian partners visited communities on both sides of the border to conduct sea safety awareness and distribute lifejackets free of charge. NMSA General Manager/ Chief Executive Officer, Paul Unas said this partnership complements NMSA’s efforts to create awareness and educate our people about the importance of sea safety under the Small Craft Act 2011.